The VX0312 is a Ethernet / BroadR-Reach USB adapter with integrated CAN-FD-connection developed to meet automotive requirements. 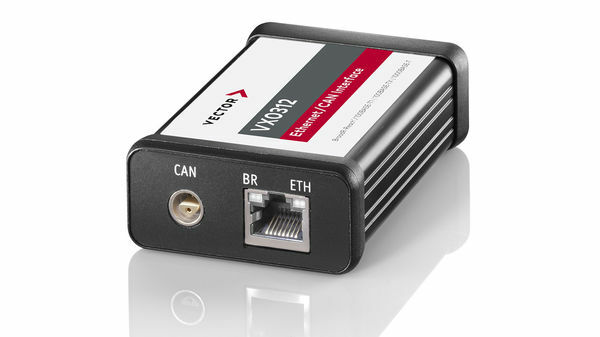 XCP on Ethernet or XCP on BroadR-Reach devices can quickly and reliably be connected via the VX0312 to a computer having a measurement and calibration software installed. Automotive-compatible USB / Ethernet converter for any application. The integration of the VX0312 as the default network device is performed via the NDIS driver.